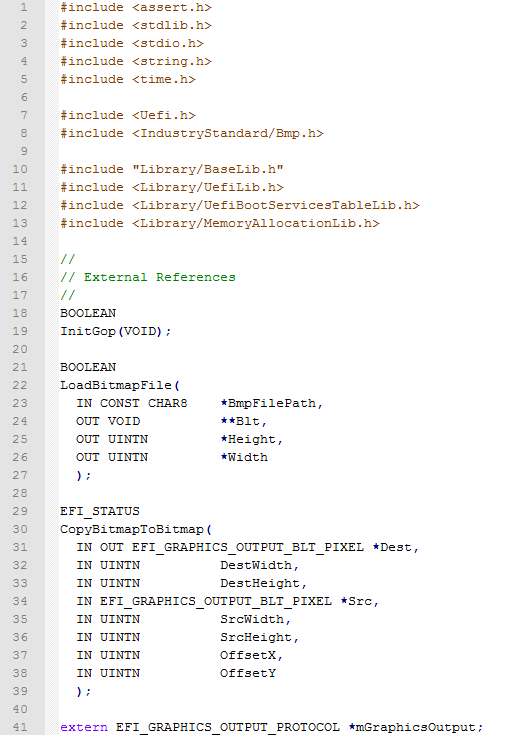 This is the third part in a series of posts about a simple game written as a UEFI Shell application. 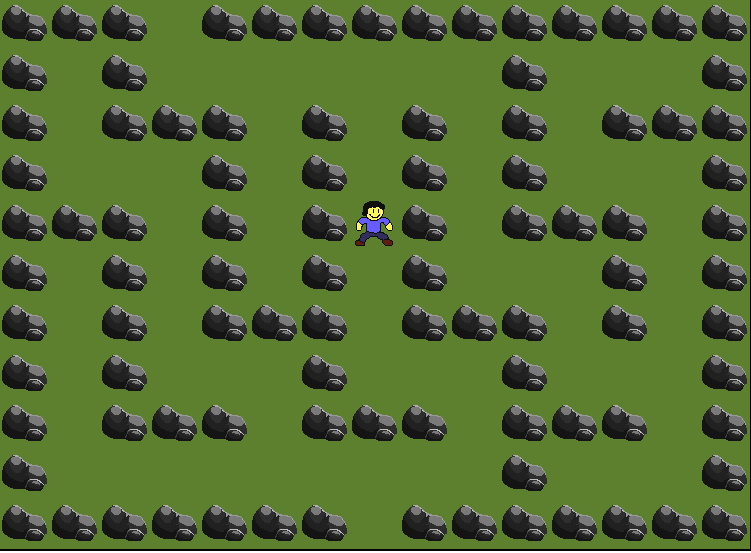 It consists of generating a random graphical maze and navigating a little man through that maze from entrance to exit. 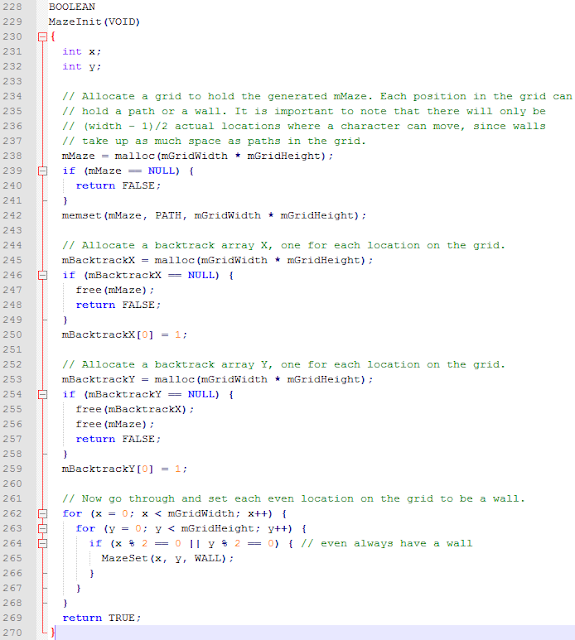 This post gets to the actual maze generation, which is actually a recursive function. Pick a random position. Then pick a random direction and, if that cell is completely surrounded, then mark the cell as a path. If there is no such cell in any direction, then back up. 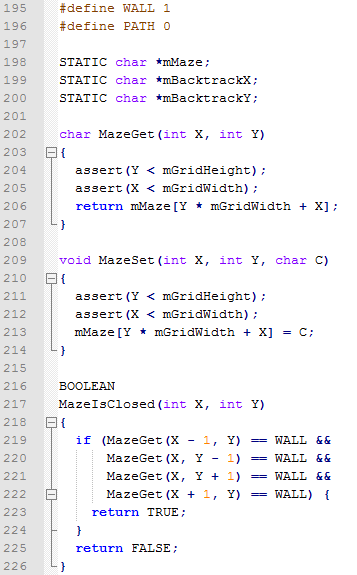 This algorithm generates that there are no circular paths through the maze. 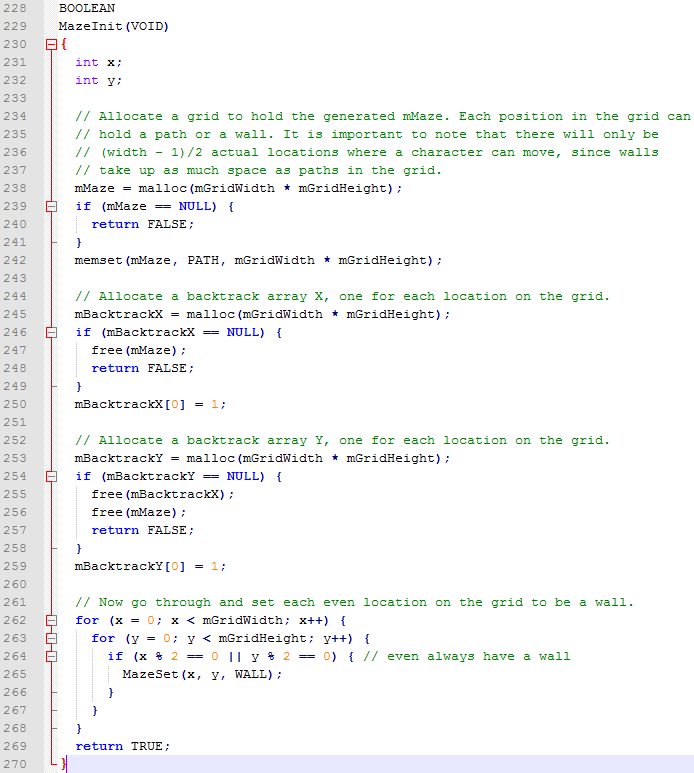 This function gets called once for each grid cell. The coordinates of the current cell are X and Y. 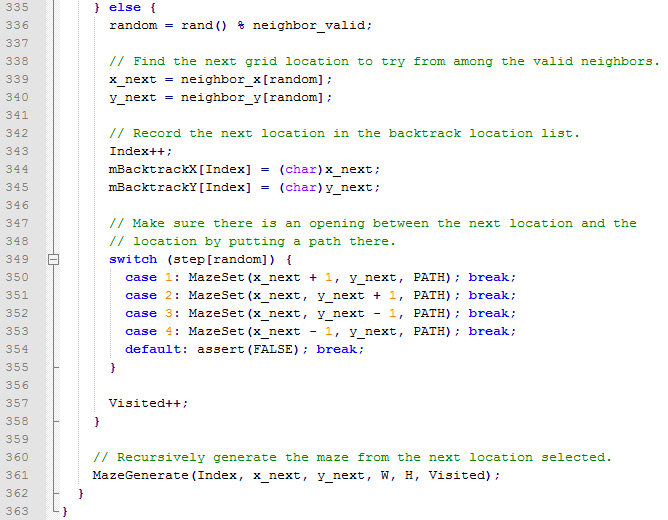 The local variables keep track of which neighbors to the current cell. The number of valid neighbors and then the direction from the current cell. If the neighboring cell to the left is surrounded by walls, then it is a possible cell that we could go to next. So record the cell’s coordinates and increment the number of valid neighbors. If the neighboring cell above is surrounded by walls, then it is a possible cell that we could go to next. So record the cell’s coordinates and increment the number of valid neighbors. If the neighboring cell down is surrounded by walls, then it is a possible cell that we could go to next. 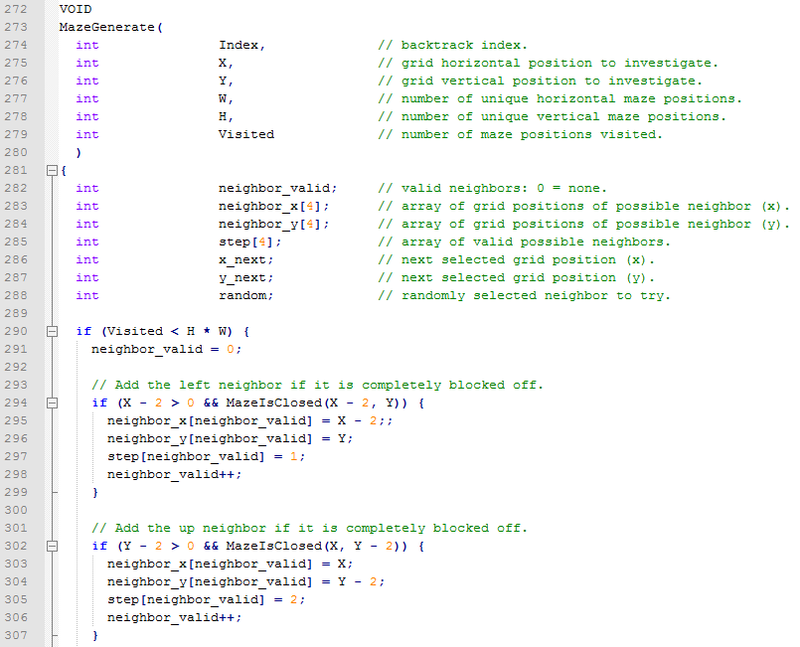 So record the cell’s coordinates and increment the number of valid neighbors. If the neighboring cell to the right is surrounded by walls, then it is a possible cell that we could go to next. 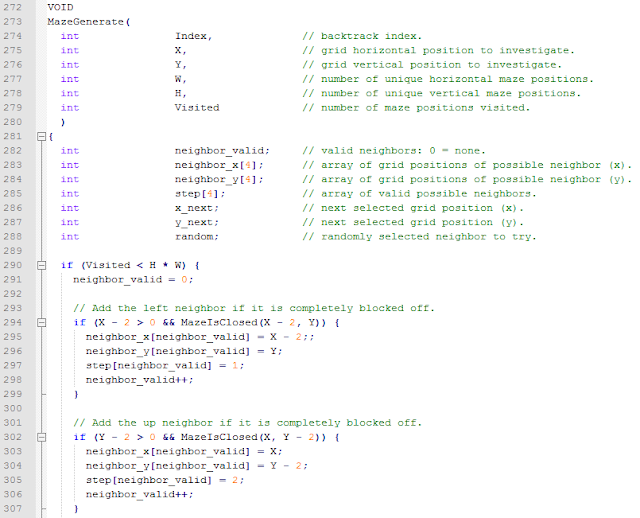 So record the cell’s coordinates and increment the number of valid neighbors. 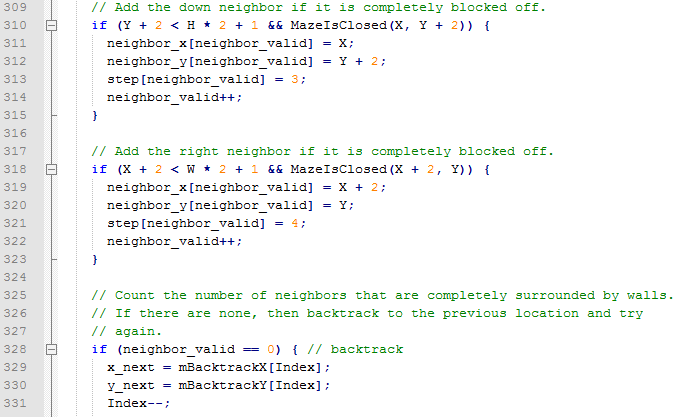 If there are no valid neighbors then we need to back track to the last valid position and try again. Pick a random direction and update the coordinates in that direction. Save the coordinates in the backtrack list. Mark the maze in that direction as a path and increment the number of cells visited. 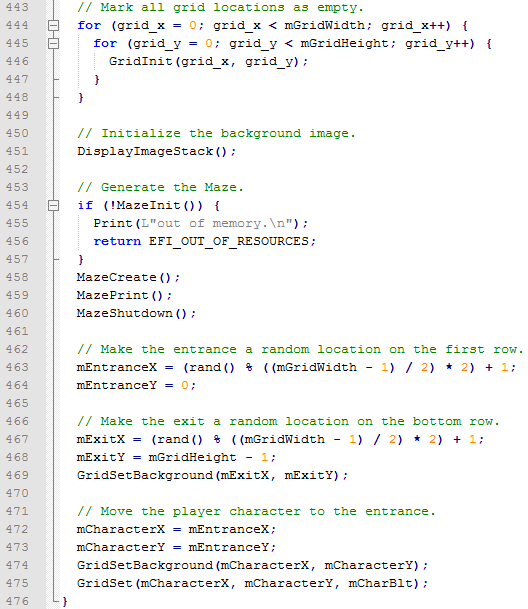 Now recursively call this function, but this time start at the next location. Now the finish line is nearly in sight. 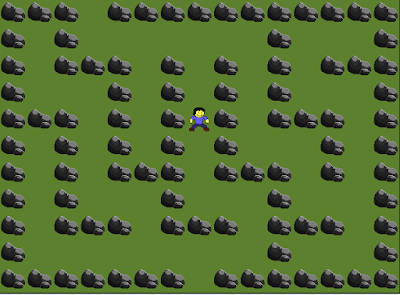 We have the environment, we have the bitmaps, and we have the maze. Now we just need to draw it and move the man around. Oh, wait. 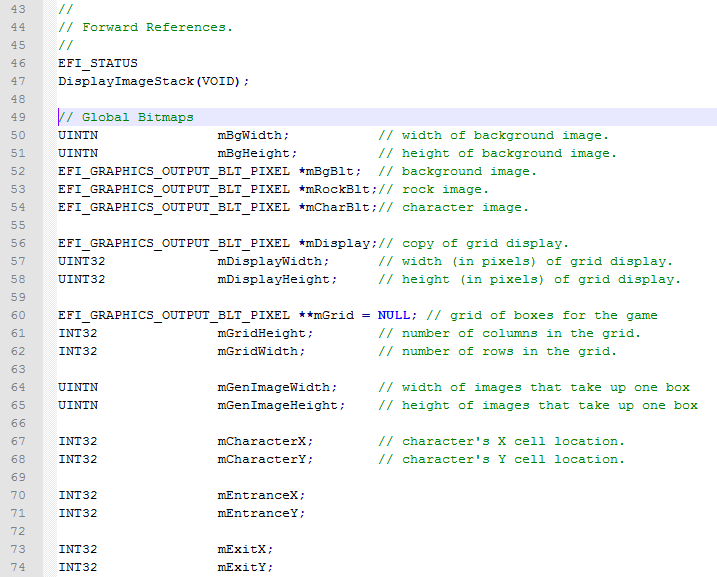 We haven't seen how to read the bitmap files or draw them with transparency. 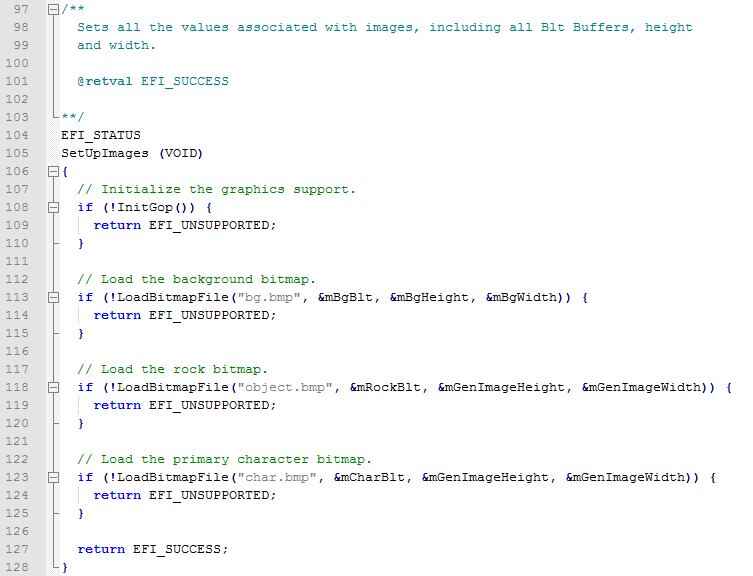 These functions are not provided within UEFI itself, so we will add them in a single post! 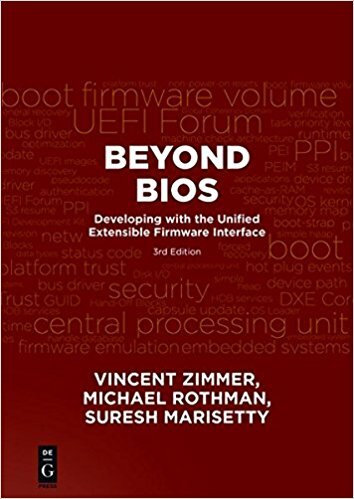 Stephen Gentile, my colleague at Insyde Software, and I wrote a white paper with several Intel IoTG folks that describes how our UEFI-based embedded solution, BlinkBoot®, solves real-world business and technical challenges. You can find the paper here. BlinkBoot includes a unique add-on technology model, called Lenses, and a dedicated suite of tools: BlinkDebug, BlinkFlash and BlinkShell. 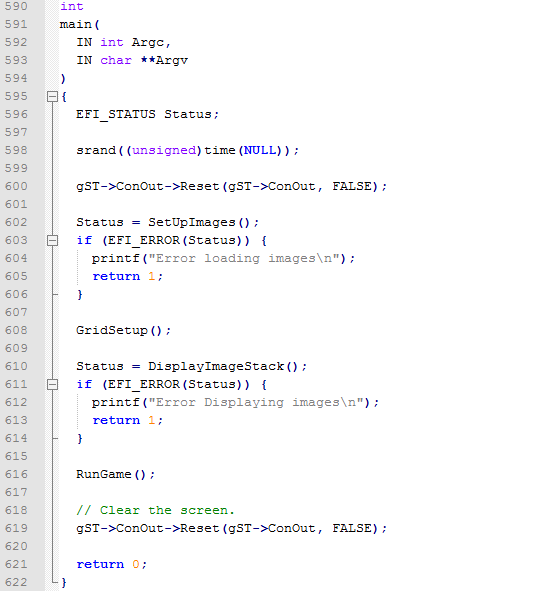 Provide a Management Mode infrastructure on ARM systems by using TrustZone. Allow initialization of Management Mode, as early as SEC or PEI. 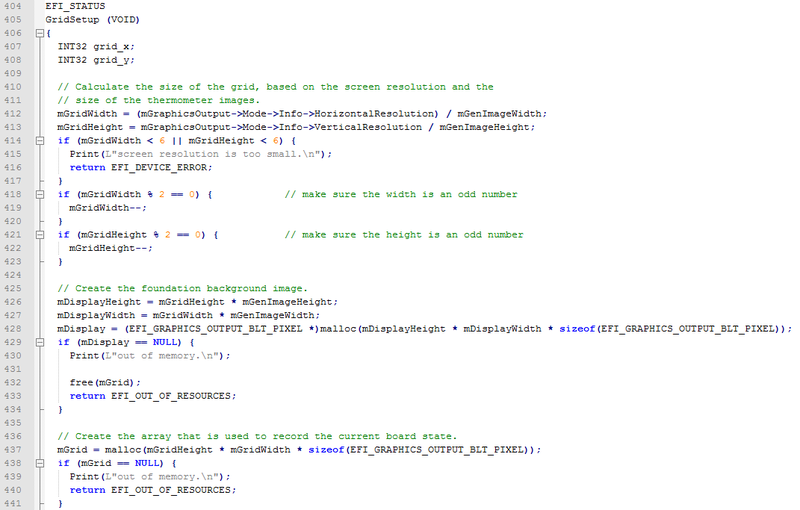 Also introduced a new class of MM drivers that launch natively within MM. Allow SEC to pass HOBs to PEI. As you can see, SMM (or rather MM) was a big part of this update. I started this, but my efforts were dwarfed by others. Part of the reason was that the ARM 64-bit folks had already started down a standardization path for TrustZone and it required some diligent technical and consensus-building work to create an environment that both ARM and x86 architecture firmware could share. We didn't just include Aarch64 systems. We made IA32 and X64 systems more robust and flexible as well. 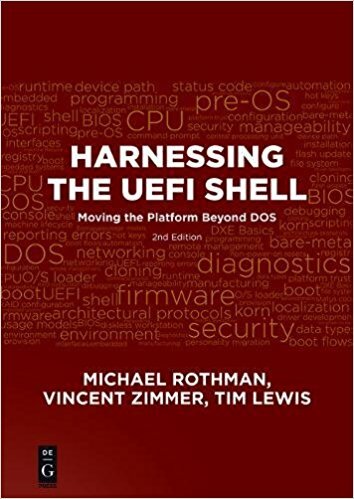 A shout out to Charles Garcia-Tobin (ARM) and Vincent Zimmer (Intel) on this.